These are unique tables are "one of a kind" are not part of our line, but are looking for a home. If you see something you like in this section, act fast before it's gone! 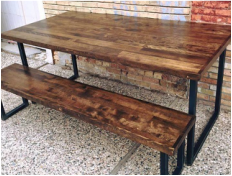 If none of the tables you see above are exactly what you are looking for, please submit a contact form and we will do what we can to build a custom table that is right for you. Our line of coffee tables and dining tables with benches combines elements of wood and metal to create a sleek modern look with century old charm. 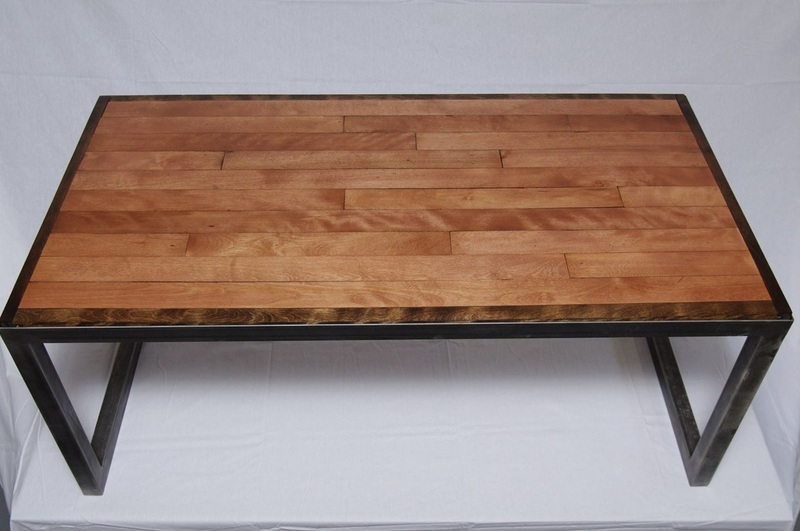 This coffee table features a reclaimed maple top nested in a craftsman-made steel base. 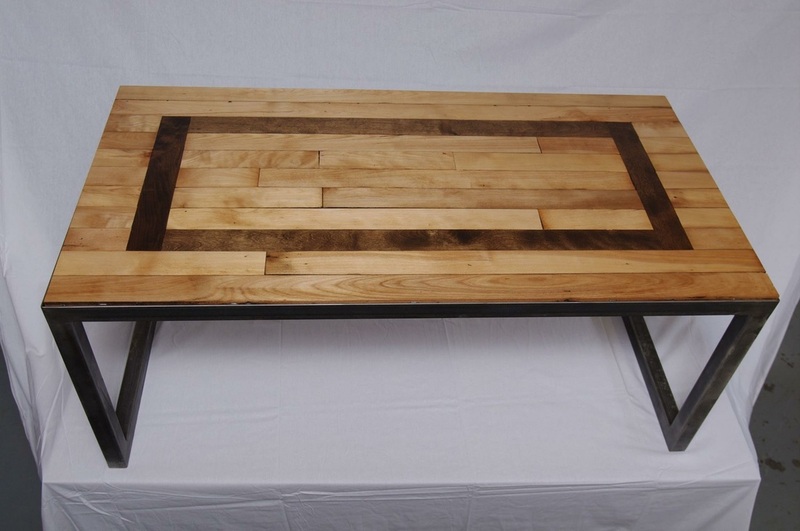 This coffee table features a reclaimed maple top with a walnut stained inlay nested in a craftsman-made steel base. This coffee table features a reclaimed maple top with a walnut stained inlay supported by painted hairpin legs. 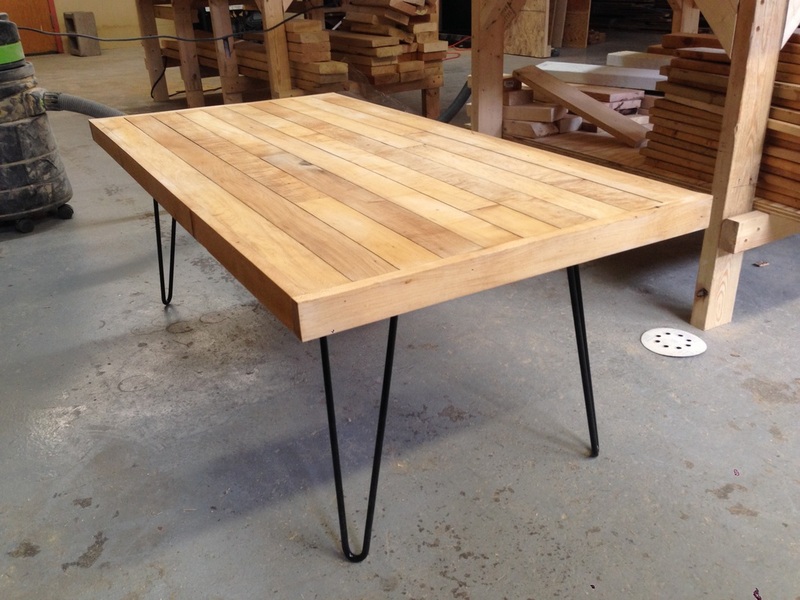 This coffee table features a reclaimed maple top supported by painted hairpin legs. 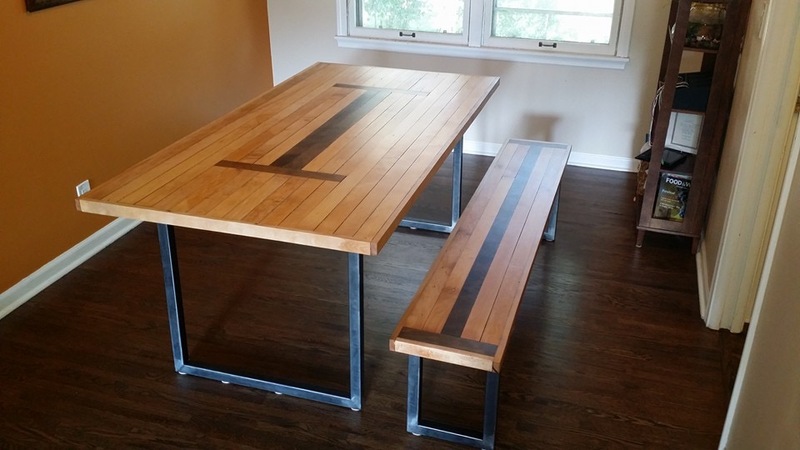 ​This dining table features a reclaimed maple top supported by a craftsman-made steel base. ​This dining table features a reclaimed maple top with a walnut stained inlay supported by a craftsman-made steel base. This side table features a reclaimed maple top supported by a craftsman-made steel base. This side table features a reclaimed maple top supported by painted hairpin legs. This side table features a reclaimed maple top with a reclaimed metal base. This coffee table features a herringbone parquet maple top nested in a ​craftsman-made steel base. ​This coffee table features a diamond patterned maple top with alternating royal mahogany stain nested in a craftsman-made steel base. 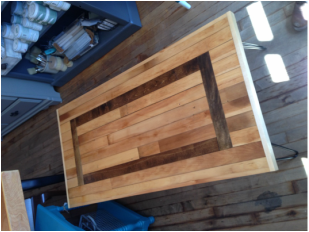 This coffee table features a reclaimed maple top with cherry stain and a walnut stained border nested in a craftsman-made steel base. ©2016 WOLFRAM STUDIOS, ALL RIGHTS RESERVED.